Hey parents: are your kids on spring break right now? Are they stuck inside because someone clearly forgot to tell Mother Nature that it’s spring and she can probably quit with the cold already? Are you scrambling for ways to make it up to them or at the very least get them out of your hair? 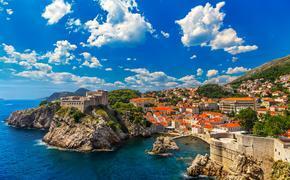 If you answered yes to any of these questions, Carnival Cruise Lines has your answer. The answer is Camp Ocean – an exciting, new marine-themed children’s program coming to Carnival’s fleet of 24 “Fun Ships.” Set to debut on Carnival Freedom on May 24, the expansive new program will immerse children ages 2-11 in the wonders of the sea through fun, engaging and educational experiences. More than 200 new ocean-inspired activities will range from educational games such as Sea Creature Discovery, Marine Life Trivia, Under the Sea Mad Libs, and Ocean Artifacts Memory Tray to creative arts opportunities such as Design Your Own Aquarium, Make Your Own Sailboat, Sea Salt Art, and Create a Penguin from Oreos. Distinctive areas and activities have been custom-created for each of the new age designations – from miniature play igloos for the Penguins to interactive gaming stations for the Sharks. On Carnival Freedom, which begins a multi-million dollar refurbishment tomorrow, and Carnival Vista, which debuts in 2016, a new purpose-built Camp Ocean play area will include Party Reef, a common shared space that brings each of the groups together, as well as Creative Cove, a breakout room for arts and crafts activities. Toni Linder, professor emeritus at the University of Denver who consults on child development and education for young children both nationally and internationally and also serves as graduate coordinator at the College of Education at the University of Denver specializing in child engagement and education. George Arthur Bloom, who has more than 20 years of experience in children’s media and programming including writing for longtime favorites such as Magic School Bus, My Little Pony and the original Transformers TV series. Matt Brown, recognized expert in play who has been vice president of LeapFrog and senior vice president of Scholastic, is an advisor for PBS Kids, and currently works as chief gaming officer of Conteneo. Chris Byrne, a 30-plus-year veteran of the toy industry and current partner in aNb Media LLC who also serves as content director for TTPM.com. April Norris, loyal Carnival Cruise Lines guest and mother of two who serves as a trusted advisor to the brand. The new Camp Ocean program builds upon Carnival’s leadership position in family cruising with more than 700,000 kids expected to sail on Carnival ships in 2014. 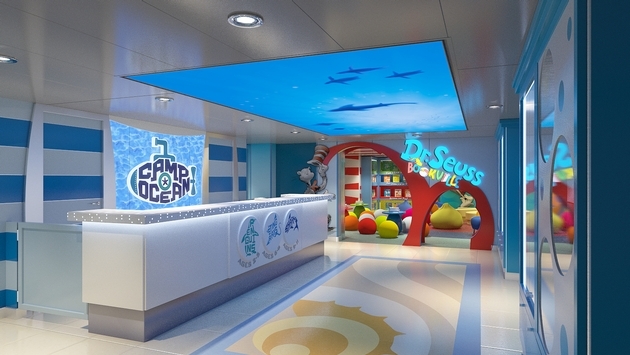 Another recently announced enhancement to the line’s children’s programming is a partnership with Dr. Seuss Enterprises to introduce the family-focused Seuss at Sea, with youth, family, dining and entertainment experiences inspired by the amazing world and words of Dr. Seuss. Carnival’s popular programs for tweens and teens, Circle C (for 12-14 year olds) and Club O2 (for 15-17 year olds) will continue across the fleet.